I rarely set out to write with a recurrent theme - but this is what can happen as life unfolds. And it hasn't escaped my notice that the Open Heart has, in different ways, been a recurrent theme of some of my recent posts here, and elsewhere on social media. This isn't really surprising, as the Open Heart of Jesus is central to our Society, and to our vocation, spirituality and mission. And thus, in a time filled with atrocities, injustice and suffering; when Fortress Europe closes its ports to desperate people and the US cruelly punishes families seeking entry and asylum; as Brexit tears our country apart and xenophobia spills over; in such a time as this, the open, wounded, welcoming Heart of Jesus is very much at the heart of my being, and therefore very much at the heart of my reflections and response, here and elsewhere. This Heart, opened when it was pierced, has remained open, enduringly, widely so, in welcome and acceptance. This is a Heart which is open to all: there are no border controls, because here there are no undesirables; no "them" and "us" or different levels of belonging. But this Heart is also open because it has been wounded - it is the original "wounded healer", full of tenderness and compassion. The mystery of Christ's open side holds within it not just his own suffering, but the suffering and hope of all humanity. And this Heart is also my unique identity within the Society, shared with twelve other women from eleven countries. Fifteen years ago we prepared together for our perpetual vows. A few days before our programme ended, as per a long-standing Society tradition, we were given a group name and devise (motto) by the Superior General, setting a seal on our communal experience and calling each one and the group into her new identity as a professed RSCJ. Inevitably, this is preceded by anticipation and speculation - this new identity, this call within a call, really does matter! And somehow, through some mysterious process, the Spirit ensures that what we get is just right; not just for a few of the group, not just for that moment, but for all of us, for the years and decades to come. Sometimes the devise will resonate more with someone than her name; invariably, too, each person will grow and develop into her own insights and understanding of what they call her to. Certainly, my group's name The Open and Welcoming Heart of Jesus, and our devise Through his wounds we are healed (Is 53.5) were perfect for me, summing up the deepest aspect of my call and how I had tried to respond to it over the years. It was also perfect for our experience as group, for the openness we had lived and the vulnerabilities we had shared. And over the years since then, both name and devise - but especially our name - have become increasingly embedded within me, serving as bedrock and guide, as starting-point and focus in my being RSCJ, my outlook, and how I understand and live our spirituality. 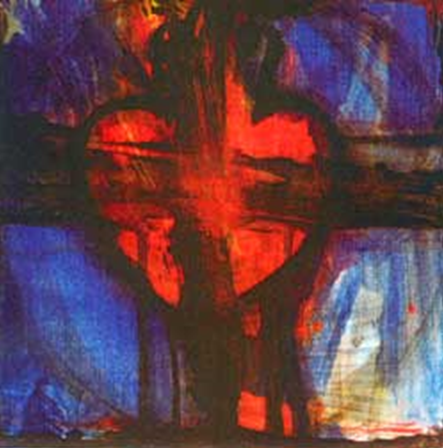 This pierced Heart, wounded yet pouring forth life-giving, healing love, is the source of all my hope; this same Heart, open and welcoming, is the centre not just of who I am, but how I see and feel and respond. It is with and from this Heart that I feel pain and anger whenever I see cruelty and exclusion; with it, too, that I respond, whether in prayer or action. And it is back to this Heart that I come, time and again, bringing all that is broken and wounded in our world - and in myself. Lord, to whom [else] could we go? asked Simon Peter somewhat rhetorically; likewise, to where else could I bring all this brokenness and fragility, if not to the Open and Welcoming Heart, through whose wounds we are all healed...?